As the days ran to weeks a pattern emerged: awake by 7.30, half an hour of sitting gathering my thoughts, feeling my breath, listening to the great silence outside my room. By 8.00 I would be in the dining room eating breakfast, chatting with the others or eating in peace. By 9.00 I would be at my desk reading, writing, emailing, collating data for a science project I was involved in, or gazing out of the window. Sometimes I did a chapter or two of a language course in Italian. Still at a book or a computer screen by 11.00, my muscles would be stretching to be outside, to be skiing around the base, and I would look more carefully out of the window, gauging the clothing I would need to wear. The temperature, wind speed and wind direction outside were constantly displayed in the radio room, and after glancing at this I would choose the wax for my skis. By mid-autumn this was no longer necessary – it was always below minus 15ºC, and we had only one type of wax that would work at those temperatures. I would wax my skis, dress in my cotton Ventile suit and climb down the steps to the ice. If there was sunlight the ice would be a carpet of rainbows, each granule a prism in miniature that kaleidoscoped through the spectrum with each shift in perspective. I would fill my lungs with gulps of clean air, shake off the stiffness of keyboards and computer screens, and fix on my skis. If contrast and visibility were poor I would need to follow a drum line out to the marked perimeter of the base. Only on reaching that perimeter, one kilometre from the Laws platform, would I ease into the rhythm of the skiing and the solitude. The air and ice were cleanliness, purity, energy, life itself. A vast crystal wonderland into which my mind expanded every day. In a simple world of two elements I felt my mind, deprived of distractions, beginning to settle. Skiing the same route day after day for months I gradually drew my landmarks from the ridges of the sastrugi, from the position of the sun – there was direction and polarity to this landscape after all, it was possible to feel moored here. Moving over the ice I listened to the susurration of the skis, felt my mind gliding over the surface as if back in a Twin Otter skimming high over the landscape. I was a tiny figure creeping between a vast ice and an even vaster sky. What did I hope to learn from this place? I wanted patience, tolerance, endurance, stillness. The list reads like a job description of the emperor penguin. 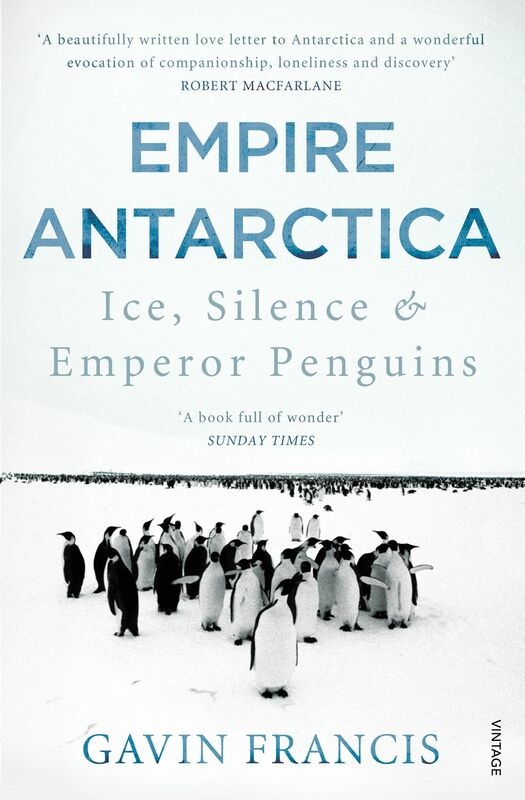 Extracted from Empire Antarctica: Ice, Silence & Emperor Penguins by Gavin Francis (Vintage Books), which was short-listed for the 2013 RSL Ondaatje Prize and named Scottish Book of the Year. © Gavin Francis 2012. For more about the writer’s work, see his website.